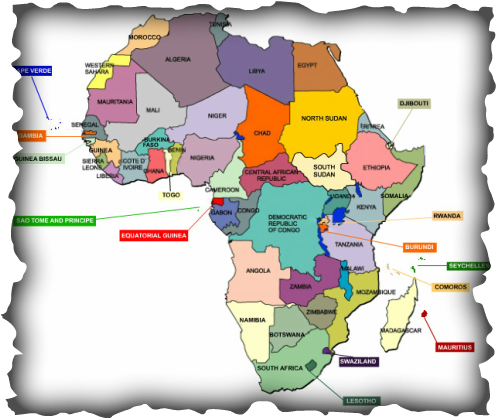 Africa consists of 53 countries, some of the more commonly known are: South African Nigeria, Madagascar, Kenya, Egypt, and Ethiopia, Senegal, Zimbabwe. With so many countries it's no wonder that it is believed that there are over 2,000 languages. We offer thousands of Authentic African and African Inspired products(clothing, artwork, jewelry, fabrics, handbags, natural skin, hair care and health products and much more!). Feel free to download and place your order from our free, full-color copy of our African Products Catalog and order form. Visit www.africa.com to learn more about this amazingly diverse continent, its culture and people.